I was off radar for few months, travelling, missing out filling my Pune Journal pages. 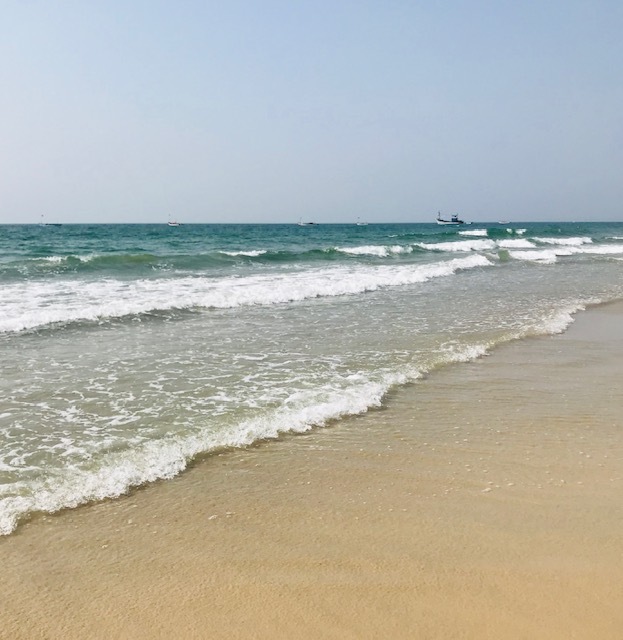 In four months I visited three beach destinations…Goa, Maldives and Mumbai with a short break to hometown Gurugram and a day outing to Panchgani the ‘strawberry’ land two hours plus from Pune by car. Panchgani has another claim to fame… Freddy Mercury, the iconic lead singer of popular QUEEN band. I knew Freddie Mercury aka Farouk Balsara was an Indian and Parsi (Zoroastrian faith originally from Iran) whose parents (settled in British Zanzibar) sent him to Saint Peter’s boarding school in Panchagani. It was here in the corridors and school choir that Freddie discovered his talent and an antidote to his shyness. Rest as they say is history. 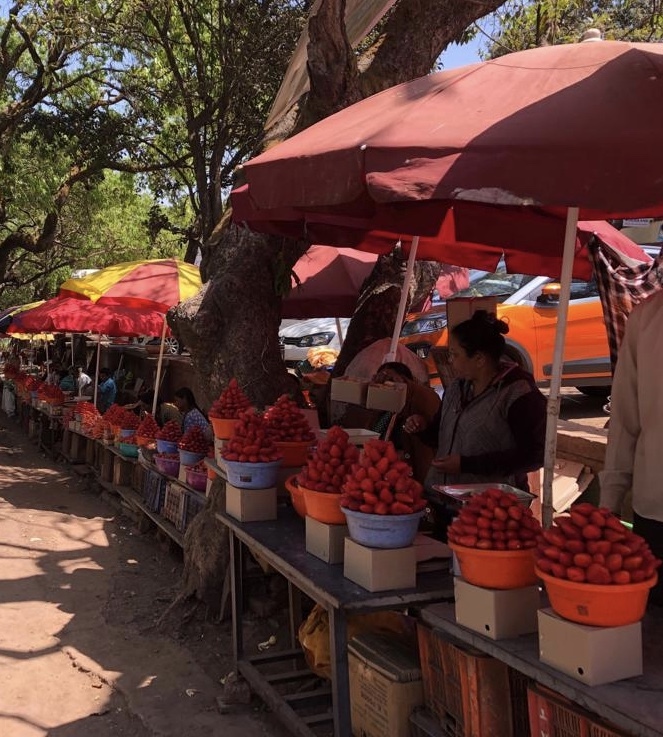 The British had discovered this hill town to escape the heat of the plains and brought with them education, health services, fruits (strawberry) and trees and plants such as Silver Oak and Poinsettia. As of date there are more than 40 educational institutions and the famous ones are St Peter’s School and New Era High School (probably the biggest school in Panchgani and locale for Bollywood movies including Aamir Khan’s Taare Zameen Pe). The landmarks not to be missed are Sydney Point, Parsi Point, the Table Land (part of Deccan Plateau and scene of Bollywood action movies), MAPRO strawberry farms, the Main market and old Parsi and British mansions some converted into schools, hotels or left as relics of the past. 2. The ‘water‘ destinations had their own carry back memories. I have visited Mumbai earlier and this visit was re-visiting Juhu beach, ( along Juhu Tara Road) surprisingly cleaner and fresher. The other places on my itinerary were Hanging Gardens the place to watch the twinkling lights of Marine Drive (after sunset); Gateway of India ; Taj Mahal Palace Hotel standing brave after 26/11 terrorist carnage. We took a quick round inside to remember my luck as a week before the terrorist attack I had met with a friend in the Lounge (Old building). One can imagine the emotional turmoil of regulars who walk in and out everyday. Cinnamon Resort, Donvelli Island, North Male. Maldives…. I am an ‘earth’ person and avoid river, sea and ocean trips (cruises) but catching a glimpse ( from the plane) of the ’garlands of white (sands), studded with emeralds (vegetation) on blue (ocean) base converted me into an ‘aqua’ fan. A five-day trip and the visuals, doing justice to numerous promotional advertisements about the Maldives, remain etched in memory. ( more in my forthcoming Maldives blog post). Back in Pune and April is in full control of the weather as the city is reeling under a heat wave, plus 40 degrees Celsius, surpassing 10-year highest temperature records. For us from Delhi, used to heat waves and hot winds, the constant harping on rising mercury is making me feel hot and I refuse to step out of air-conditioned comfort. By mistake I opened the door for garden maintenance staff (Society), wanting ice water. Her next question stumped me. ‘Why do you wear plain slippers like us? I looked at my in-need-of-cleaning flip-flops and looked at her thinking of an appropriate reply. My flip-flops have been inseparable beach trippers with me and I do not see reason to replace then with fancy sandals or walk bare feet inside the house. ’Other aunties wear such fancy slippers when they step out on the patio’. Well the only reply I could think was that I am at home and slippers do not make a person. The last sentence was ‘tched’ by her and I slunk back inside looking at my plain flip-flops with derision. Should I go buy new pair in gold or Red. I did not want to be the ‘archaic’ auntie but the ‘fashionable’ Auntie. ‘Memsahib’ the colonial acronym for lady of the house has been replaced by plebian ‘aunty’. A lesson learnt for future that it not only peers but people around you who decide your place value. This will be my first Pune monsoon and I look forward to enjoying the cool breeze and the hills turning green. We are on top of a hill but other Pune areas, flat and more concrete than grass, and I wonder if they enjoy the deluge turning most cities turn into puddles.